You’re in a panic. A reporter from your local newspaper heard about your new book and wants to meet you for lunch. You’ve done several telephone interviews with journalists, but you’ve never sat face-to-face with a reporter—let alone eaten with one. But you accept the invitation anyway and have only three days to prepare. What do you do? In my former life as a reporter and editor of three dailies and a business-to-business weekly, I spent 22 years breaking bread with hundreds of people, many of whom turned into valuable news sources. Here are ways to survive lunch with a reporter—without reaching for the Pepto-Bismol for dessert. Ask if this is going to be just a “getting to know you” session, or an actual interview. If it’s the former, you won’t need much preparation. If it’s the latter, you will. Google their name, or go to the newspaper’s website and search for the reporter’s name. If you can’t find articles there, visit your local library and look through back issues of the newspaper. Does the reporter blog? If so, you’ve struck gold because you’ll know the reporter’s hot-button issues, and you might also pick up tidbits of personal information. Check their social media profiles and pay attention to content they share. Prepare your key message and sub-messages—the main ideas you want to be sure to get across in the interview. You might want to explain the interesting back story of why you wrote your crime novel or the most important message you shared in your business book. Then, during the interview, be sure to work the key messages into your responses. Don’t just wait for the reporter to ask the right questions that lead to your key messages. Those questions might never come. Make nice with the reporter by first making small talk. Ask about the reporter’s job, family and thoughts about the top national story of the day. You will use this personal information later to help strengthen the relationship and keep in touch. So listen carefully and take mental notes. Take your book with you but don’t be obnoxious. Don’t say, “I’d like you to read it and let me know what you think.” Most don’t have the time. Don’t ask the reporter to write a review. Offer the book. Don’t just hand it over. Let the reporter guide the discussion. If it seems to be going nowhere, take charge and lead the way. Explain new trends you are seeing in publishing or in your area of expertise—something that ties into the topic of your book. For example, if you’re an expert on employee recruitment and retention, and you know that many more people in their sixties and seventies are delaying retirement, suggest that as a story. Let the reporter know all the areas in which you are an expert. 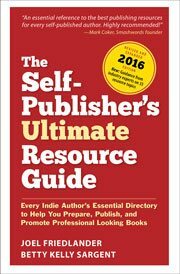 See my article How to Become an Author Expert and Strut Your Stuff. Ask about other subjects the reporter covers. You might know someone who can be a helpful source. Never talk off the record to a reporter who you have just met. The best rule of thumb is that if you don’t want to see it in print, don’t say it. Suggest other story ideas the reporter might be interested in—not about your book but about your areas of expertise. And, of course, offer to be a source. If this is a “getting to know you” session, never ask reporters to write about you. Instead, suggest ways you can help them do their jobs. Remember, your sole purpose in meeting them is to be helpful. Offer your telephone number. Invite the reporter to call you day or night. Promise to try to return phone calls within 15 minutes—then do it. Pass along names of two or three other people you know who would make good contacts for the reporter. Ask, “How can I help you?” Listen carefully, then try to give reporters what they need. Exchange business cards. Ask about their social media accounts and be sure to connect. As soon as you return from lunch, handwrite a thank-you note. Don’t cop out with a lazy email thank you. Never send a gift afterward. It looks like a bribe, and it might violate their ethics policy. Mail any follow-up material you promised within 24 hours including your books media kit. See my Quick & Easy Media Kit Templates. Keep in touch regularly. Offer constructive feedback on stories the reporter has written. Email helpful articles about the reporter’s area of expertise or hobbies. Share news tips and story ideas. Let them know you care and they will care about what you know. Do lunch again in six to 12 months. The restaurant doesn’t have to be fancy. You can also meet for coffee but not for drinks. Never talk to a reporter while you’re drinking. These tips also work in other situations in which you’re meeting reporters, such as at trade shows and conferences, or on book tours. They also work with bloggers and other people who you meet who can help you promote your book. Meeting journalists face to face gives you a great chance to make a lasting first impression, and to start building valuable media relationships that can result in free publicity for years to come. Photos: BigStockPhoto, KeepCalmStudio and BigStockPhoto. Great story and mostly really wise suggestions. I particularly like the idea of a hand-written thank you note. That is so rare that it would make you highly memorable to any reporter. I do take issue with part 2 of #21, however. As a former editor at a large metropolitan daily (the book review editor used to report to me) I would NEVER suggest that a source “offer constructive feedback on stories the reporter has written.” This would be a great way to piss off many reporters. They don’t need to be coddled but nor do they want to receive criticism, no matter how constructive. Be sure you know how to properly pronounce the journalist’s first and last names–which may not be obvious from the spelling. By now, most people that Stephen Colbert likes his last name to be pronounced French-style (“Cole-bare”), but the pronunciation of less-famous names may need to be researched to avoid a faux pas. This is so important, Michael, and I’m glad you mentioned it. It’s best to address the journalist by the name that appears in the byline. Also, don’t assume that someone who uses initials instead of a first name should be addressed as “Mr.” My friend, blogger BL Ochman, has gotten pitches addressed to “Mr. Ochman.” If you Google her name, it should take no more than 30 seconds to find her photo. And it’s immediately clear that the writer didn’t spend those 30 seconds. Makes me wonder what else they’re lazy about. Sorry…”sell the story to his editor”. Fascinating. As a reporter with many years’ experience and as an author, I can see the common sense in this advice. But I also find it somewhat depressing. So calculating. Any chance of a little sincerity intruding? Also, when you get down to it, all a reporter wants is a peg so he can sell the story to his author. It’s pretty basic. Thanks for your comments, David. I don’t understand how a news source can be any more sincere than being prepared, caring about the journalist’s work, sharing ideas, explaining trends and asking “How can I help you?” What, exactly, do you think an author should do? I’m with Joan Stewart on this one David. Sure you want a peg, but over the years PR people establish relationships with journalists. Starting out by being polite enough to know if the reporter is male or female is pretty basic. Great article. Detail steps. Thanks.